London record shop BM Soho has closed "due to circumstances"
London record shop BM Soho has closed, apparently without any warning to its customers. Techno producer and recent In Session artist Truss tweeted a picture of the darkened shopfront with a sign reading: "Due to circumstances, BM Soho has to close". Right now, details of why the shop has closed are unclear but Truss later said that BM Soho is "completely empty", while the photo shows only three records in its window. Customers say the shop was open right up until yesterday evening. Chances of a comeback at this location seem unlikely, as the shop is already up for let. 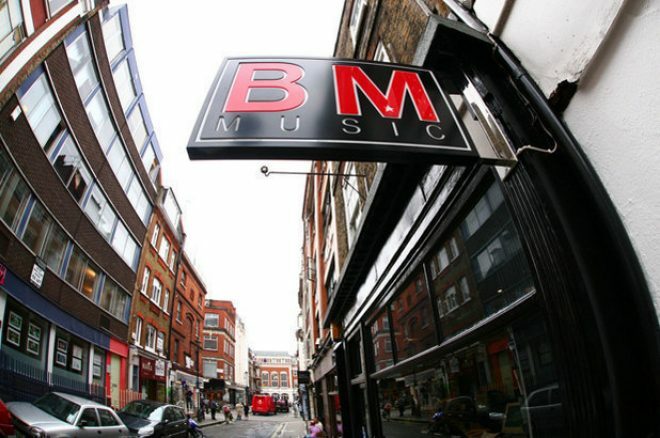 BM Soho originally opened as Black Market Records in 1988 and is a legendary name on London's digging scene. It was integral to Soho's Record Store Day celebrations too. Equally renowned dub/reggae store Dub Vendor was also operating out of the BM basement and remains open until March 1.